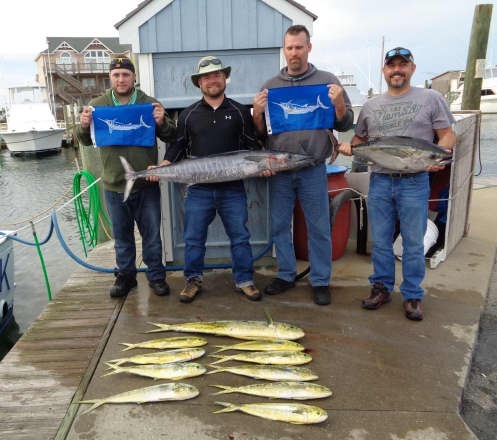 The wind did lay last night and anglers received a chance to get out to the Gulf Stream to fish. 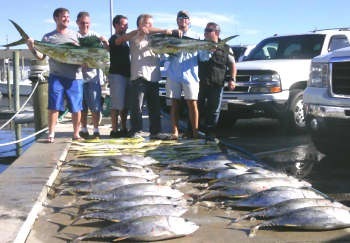 It turned into a beautiful day with plentiful sunshine and pretty good fishing conditions offshore. One charter released two White Marlin and one lost a Blue Marlin which provided a lot of action for the anglers. The Wahoo and Blackfin Tuna bites were good. A few Dolphin made it into the mix today. Some boats stop to catch King Mackerel as they headed in. 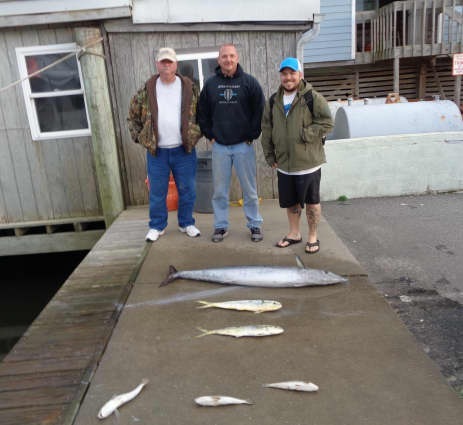 Inshore anglers caught some Bluefish and some small Speckled Trout. They looked for the big Drum but they were elusive today. After a few weeks of slow fishing, it appears as though fishing is picking up! 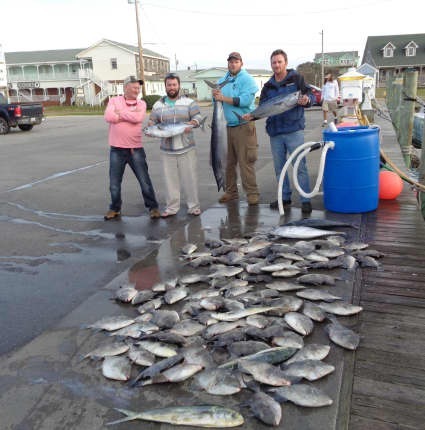 Come to Hatteras over Thanksgiving and catch your feast! Rob Garcia of Kannapolis, NC: 44 lb. Wahoo on Sea Creature. Adam Comer of Ravenswood, WV: 59 lb. Wahoo on Predator. Robert Wielhouwer of Marshville, NC: 22 lb. Blackfin Tuna on Tuna Duck. Brian Lareau of Cary, NC: white Marlin release on Tuna Duck. Michael Kelley of spring, TX: white marlin release on Tuna Duck. Gusty north winds kept everyone docked today. It's supposed to drop out tonight and then switch to the southwest later tomorrow. Let's hope that it will allow boats to get out to do some fishing! This is the first day in nearly a week that boats made a trek offshore. 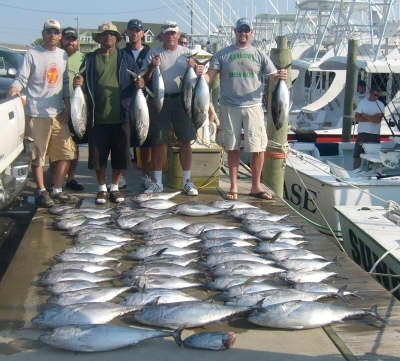 Offshore charters reported about a dozen Blackfin Tuna and some nice size Wahoo. 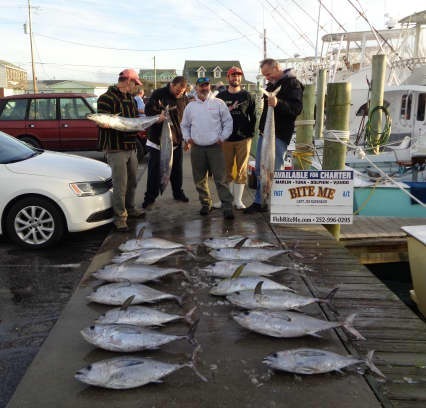 Commercial boats reported a fair King Mackerel bite. 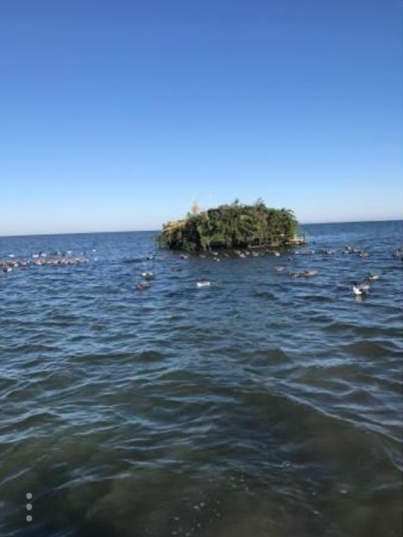 Some anglers fished inshore for fun and reported undersized Drum and Speckled Trout. 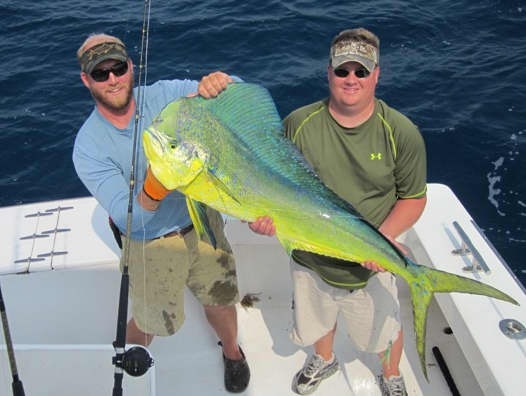 We do have charters scheduled for this weekend and some ever-so-ready anglers who are eager to get on the fish. John Nikol of Rural Hall, NC: 47 lb. Wahoo on Predator. Steven Bigler of Raleigh, NC: 57 lb. Wahoo on Predator. Robert Chappell of Raleigh, NC: 68 lb. Wahoo on Predator. One boat fished offshore today in cool slightly breezy weather. They reported a good catch of King Mackerel. No boats fished Inshore today. Another blow day, no boats out! Looks like we are in for a pretty good nor'easter until possibly Sunday. Check back tomorrow. We did not have any boats go out today due to the weather. Check back tomorrow to see what's going on. Northeast winds produced big seas and brought Coastal Flood Advisories for our area today. Needless to say, no boats fished out of our marina. This front is supposed to bring lots of rain along with windy conditions through tomorrow. We cannot complain however for the weather previous to this was absolutely gorgeous. People who are not in Hatteras today are missing out! Weather was gorgeous with blue skies for most of the day a mirror calm sound and temps in the 70's. Offshore boats were fishing for King Mackerel and caught a few. 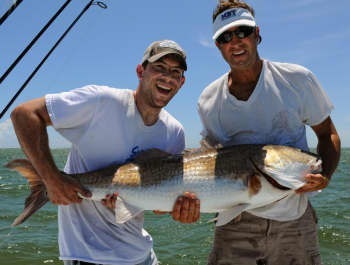 Inshore boats were catching Red Drum and Speckled Trout in good numbers.